Today, many nonprofit organizations receive a large portion of their funding from online donations. While the ability to set up an online donation page has made it easier than ever before to collect donations from people all over the world, building an effective page still requires a well-thought-out approach. In the same way that an e-commerce store must make it simple for shoppers to make a purchase, you want to make it as easy as possible for your website visitors to make a donation. In this article, we’ll look at six guidelines for creating effective online donation pages. By following these tips, you’ll set your nonprofit up to secure the funding it needs to thrive. Donating to your nonprofit needs to be nearly effortless for your website’s visitors. A big part of making it easy for visitors to donate is making your donation page easy to find. Start by including a highly visible, brightly-colored button with text such as “Donate Now” on your homepage. Similar buttons should appear on every other page of your website. At various points throughout the text of your site, you can also include calls-to-action that link to your donation page. Of course, you don’t want to overdo it and overwhelm your visitors with donation requests. However, visitors should be well aware that your donation page exists and it should be easy for them to navigate to it from any page on your website. In addition to giving visitors the ability to enter a custom amount that they want to donate, your online donation page should offer the option to check off and donate a pre-selected amount. Allowing visitors to choose from pre-defined options streamlines the donation process by removing the obstacle of making a decision. 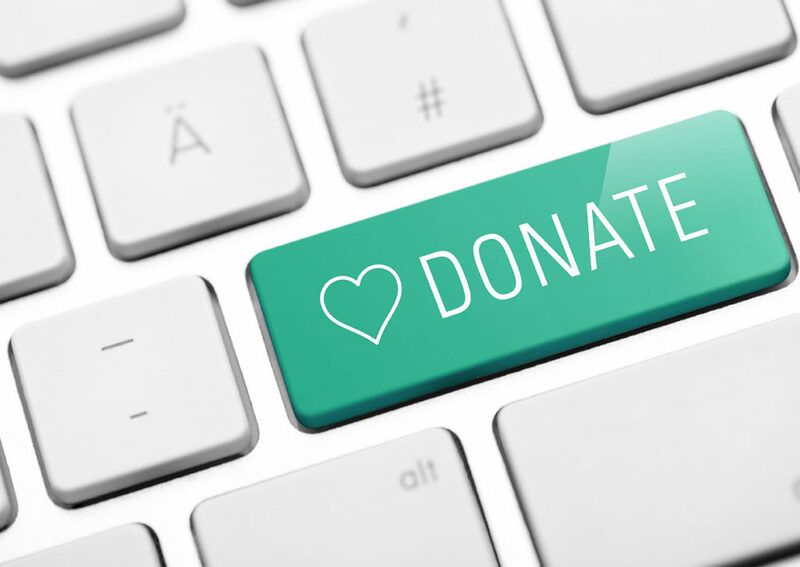 For this reason, most large nonprofit organizations include a number of common donation amounts on their online donation pages. On average, these pre-selected amounts range from $25-50 at the lower end to $250-$5000 at the higher end. Based on your organization’s historical donation data, you can identify the amounts that make the most sense for your donors. To simplify the process of creating an online donation page, look for customer relationship management software that offers this functionality. 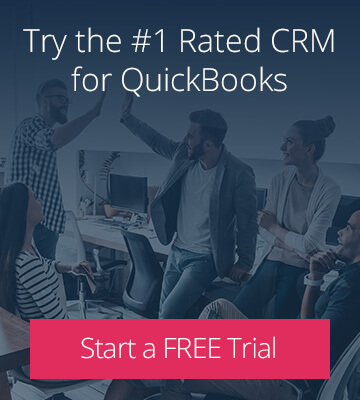 CRM software for nonprofits is designed to simplify the fundraising process, making life easier for both donors and employees. Method:Donor is a CRM for nonprofits that lets you embed an online donation page in your website. 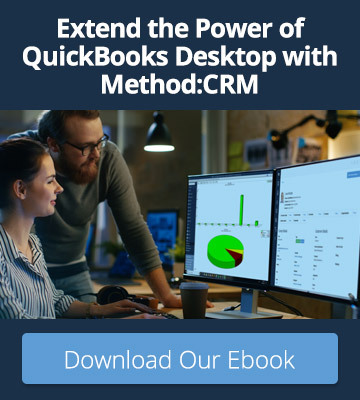 All donations made through this page are automatically synced to your QuickBooks file, eliminating the need for manual data entry. When a donation is entered, Method:Donor also sends a personalized “thank you” note to the donor and schedules a follow-up for your team. For organizations that rely largely on volunteers, this type of automation is invaluable. This is because it makes the donation process simple enough for new users to learn quickly, with minimal training. If you want to set up an online donation page that practically runs itself, using a CRM for nonprofits is an excellent option. The more payment methods your website accepts, the more likely it is that a visitor will be able to find an option that’s convenient for them. You’ll want to consider accepting a wide range of debit and credit cards, as well as other online payment options such as PayPal and Stripe. One large benefit of including PayPal as a payment option on your online donation page is that many PayPal users are automatically signed into their account no matter which website they visit. This means they can complete their online donation in just a few clicks without having to type in all of their credit card information. Ideally, the form you use to collect information from your donors should only be one page long. Requiring donors to go through multiple pages to complete the donation process simply gives them more opportunities to click away. Naturally, limiting your donation form to a single page may mean that you aren’t able to collect as much information from your donors. While donor data is valuable, you have to weigh the value of this data against the value of successfully securing a donation. In the end, making it as easy as possible for visitors to donate should take priority over collecting large amounts of information from them. Ideally, the homepage of your nonprofit’s website should thoroughly explain what the organization’s mission is. It should also provide details about the good things you’re doing with the online donations you receive. However, that doesn’t mean your online donation page should jump right to the payment form. Instead, take the opportunity to remind your visitors once again why it is that they should donate. Include a couple of touching photographs if possible, as well as a few lines of heartfelt text describing the positive difference their donation will make. Remember, people want to feel good about making a donation, and it’s your job to provide them with that feeling. Just be sure to keep it short and sweet — you want to remind people why they’re donating without distracting them from actually doing so. A well-structured online donation page can very easily tip the balance between your nonprofit having all of the funds it needs versus struggling to stay above water. By following the tips outlined above, you can create an online donation page that speaks powerfully to your donors. And when it’s easy for your donors to give, it becomes easier for your nonprofit to make a positive difference in the world. Ready to create your own online donation page?